2016 is bringing more to Penn State than new classes and snowy weather. The Bryce Jordan will soon be packed with students across campus taking advantage of all the cool events. From Bruce Springsteen to Movin’ On, students have the opportunity to see some of the many well known, famous artists that perform at PSU yearly and Penn State Football will be making a return. Students can’t let the cold weather keep them in a slump when there’s almost too much to look forward to. The Monster Outbreak Energy Tour is coming to the Bryce Jordan Center on February 13. 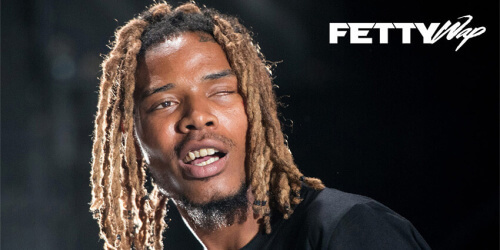 The demand for Fetty Wap is through the roof. Floor tickets sold out within an hour, causing the BJC to rearrange the stage plan to accommodate more students. Penn State’s Valentine’s Day weekend will be spent with everybody’s favorite one-eyed rapper. Starting on February 19, over 15,000 students will come together and volunteer at Penn State’s 46-hour no-sitting, no-sleeping dance marathon. THON raises money for pediatric cancer through the 4 Diamonds fund and gives children affected by pediatric cancer a weekend to just have fun and be kids. 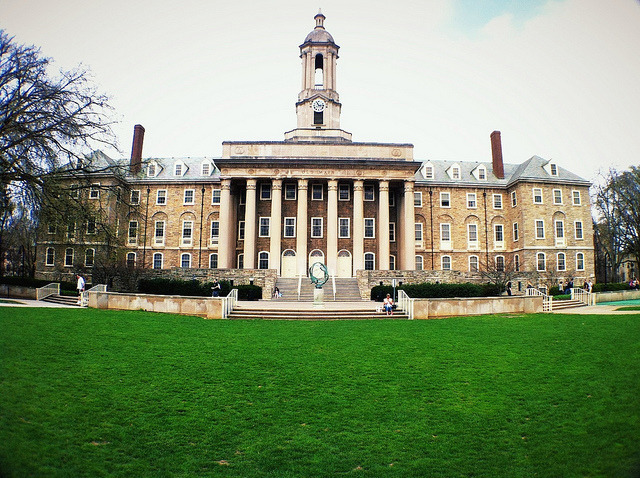 Penn State students fundraise all over the nation throughout the year. Here’s hoping 2016’s THON participants can beat the $13 million raised last year. The infamous student-created holiday, created in March of 2007, is undoubtedly the most fun holiday for students. However, State Patty’s isn’t solely for students to enjoy. Over the years, it’s evolved into a community-wide festival. Stores downtown will soon be filled with State Patty’s paraphernalia so students can celebrate in style. 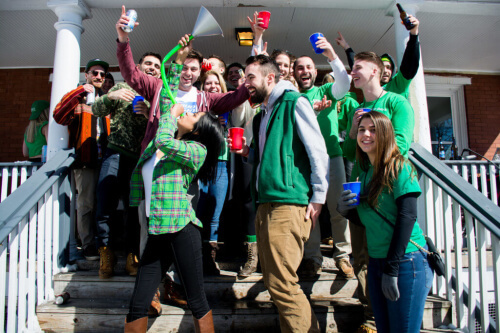 On State Patty’s, everyone in State College is Irish. Students will be covered in shamrocks and bright green beads celebrating just a tad early on February 26 and 27. It would be nearly impossible for Penn State students to go one whole semester without an ounce of Penn State football. 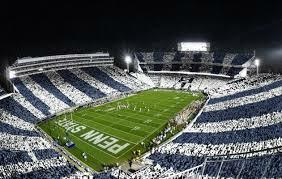 Students will fill Beaver Stadium April 16 to watch their much-loved Nittany Lions play in an intra-squad scrimmage. We’re still anxiously awaiting the announcement of who they’ll be playing, but that shouldn’t affect the average crowd of over 50,000. 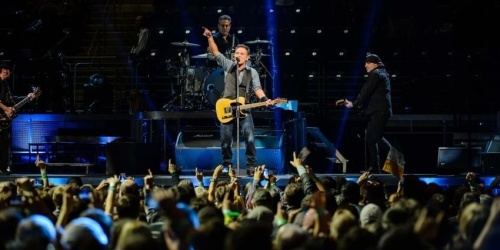 The Rock and Roll Hall of Famer will be taking the stage of the Bryce Jordan Center on April 18 as a part of his 2016 “The River Tour.” The BJC is actually the first stop in the second half of Springsteen’s tour. Springsteen will be playing songs from what Rolling Stone calls his “most famous album,” The River. At the first sign of spring and good weather, students flock to Old Main lawn to do their homework and hangout with friends in the sun. There’s never an official “first day back.” It’s more of an unspoken event. The first day back is an exciting one with students playing music and an abundance of Instagram posts of students finally being able to enjoy their beloved Old Main Lawn for the first time in the new year. Every year since 1975, the students at PSU put on the largest student run music festival in the country. A-List artists such as Big Sean, Passion Pit, A$AP Rocky, Wiz Khalifa, MGMT and Ludacris have made appearances in the past. Even better, it’s completely free for students. The festival takes place the weekend before finals week as an enjoyable reward for students after working hard all year long and before they have to really buckle down and endure finals week. Last but not least, bittersweet graduation. 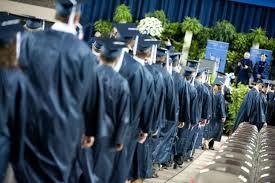 The class of 2016 will fill the BJC for commencement on May 6, bringing their glorious run at PSU to a close. You’ll be able to see students clad in cap and gown all over Old Main lawn taking their last pictures as students on that famous grass.